Home > Television > What is the Difference Between LCD & Plasma TVs? LCD and Plasma TVs have a lot in common. They both emerged in shops at roughly the same time, they both deliver sharp, high-definition images, and they're both flatscreen, thin and stylish. So what's the difference exactly? Is one better than the other? Which one should you buy? Here you will finally find the differences explained in plain English. LCD stands for Liquid Crystal Display. These displays contain a network of hundreds of thousands of tiny LCD pixels sitting behind the TV screen. Behind these pixels is a fluorescent white backlight. When the light hits the pixels, an electric current determines what colour appears on the screen, and the millions of tiny variations in the light make up the image that you see on your TV. Plasma screens are made of two sheets of glass, between which plasma (xenon and neon gas) fills thousands of tiny chambers. Behind each chamber are a series of red, blue and green phosphors. When electricity hits the plasma chambers, they emit invisible UV light, which then hits one of the coloured phosphors. This creates a visible image on the screen. Well, that's all well and good, but what does this mean to you? How does this affect your viewing experience? Here are some of the key differences. As TVs get bigger, size and weight becomes more of an issue. Fortunately, LCD and plasma screens both weigh a lot less than the old CRT televisions. Plasma TVs are generally available in bigger screen sizes, up to about 71 inches, whereas LCDs tend to be better for smaller viewing, going up to about 65 inches. In terms of weight, plasma TVs often weigh about 10% more than LCDs due to them being slightly thicker. Is There a Difference in Picture Quality? In terms of picture quality, preference between LCD and plasma is largely a matter of personal choice. There is a noticeable difference between the way the two types look, but it's often hard to put your finger on it. Although both types have exceptional quality and sharpness, plasmas tend to have better contrast and a slightly softer tone to them, whereas LCDs have a slightly higher resolution and a sharper picture in smaller models. For those of you that are not familiar with this problem, 'image burn' occurs when a plasma television is somehow left with the same image displayed on the screen for a prolonged period of time. This could be because your digital box has crashed or because your DVD player has seized up. The result is that the image or part of the image becomes etched on the screen permanently. This is something that does not happen with LCD televisions, but is fortunately also becoming less likely in modern plasma televisions as well. Less of a problem with new technology than with older CRT televisions, but glare does still occur. 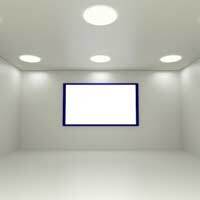 Generally, in a fully darkened room, plasma TVs appear brighter with better contrast. However, LCDs reflect less light and therefore create less glare, making them much better in average light conditions. This means that plasma screens may be better for watching movies in the evening, whereas LCDs may be better suited to general daytime viewing. Is There is Difference in Lifespan? It's frequently thought that plasma screens have a slightly shorter lifespan than LCD, but plasma manufacturers insist that this is a myth. Both types of TV are thought to have a total lifespan of about 60,000 hours, based on 6 hours of viewing time per day. This means that if you used your TV every single day, then it would last for 27 years! Is There is Difference in Energy Usage? Everyone has to play their part in bringing down energy consumption and fortunately both plasma and LCD televisions use up to 60% less power than old CRT technology. However, if you really want to minimise your energy usage, then LCD uses slightly less than plasma.